LAS VEGAS – Attendees of the upcoming Tobacco Plus Expo (TPE) can attend a convenience-store panel featuring the head of the newly created ExtraMile Convenience Stores, the joint-venture entity formed by Chevron USA Inc. and Idaho retailer Jackson Food Stores. 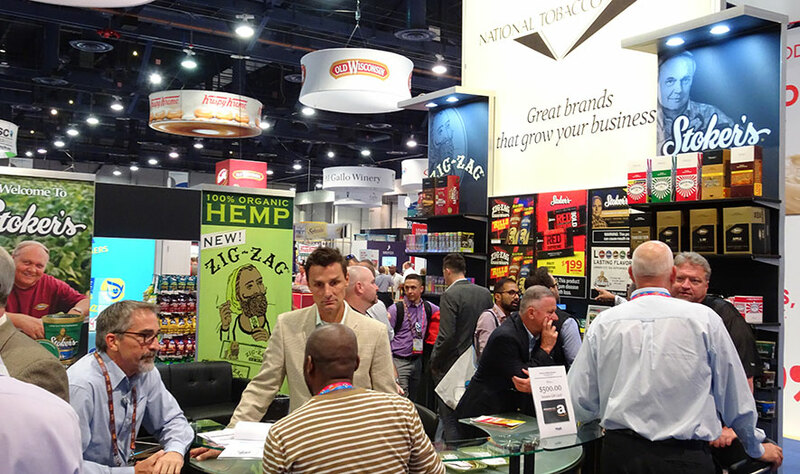 Scheduled for Feb. 11-13, 2019, at the Las Vegas Convention Center, the TPE conference and trade show will feature a wide range of industry speakers, as well as a full floor of exhibitors representing an array of tobacco products. The c-store panel is set for 11 a.m. Feb. 13 and will feature Paul Casadont, president of ExtraMile Convenience Stores, Pleasanton, Calif.; Bill McCloskey, COO of Rmarts, Deerfield, Ill.; John Zikias, former executive adviser for Holmes Oil Co., Chapel Hill, N.C.; and attorney Henry Roemer from Finger, Roemer, Brown and Mariani, Winston-Salem, N.C.
As in past years, Lakeville, Minn.-based NATO will lead tobacco-focused educational sessions on Feb. 11, with topics ranging from regulatory issues to product-movement trends. 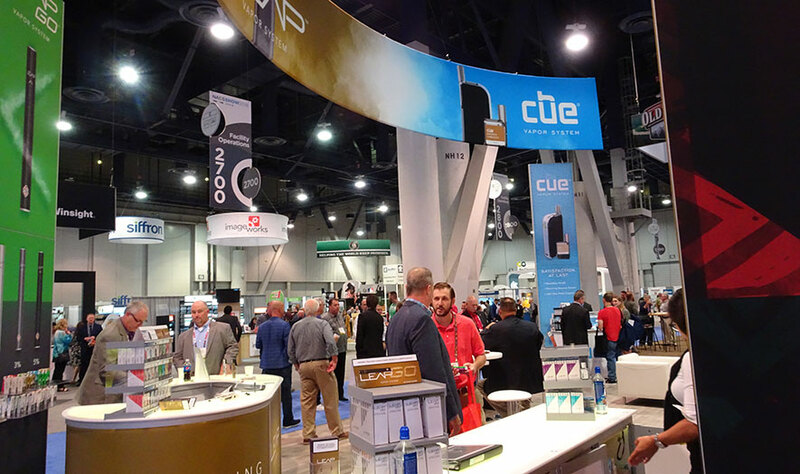 The TPE show is operated through companies owned by Kretek International, Moorpark, Calif.
LAS VEGAS -- Retailers saw a growing focus on vaping and closed-system e-cigarettes on the 2018 NACS Show floor this year, even while cigarettes, cigars and cigarillos garnered a lot of attention. From fourth-tier cigarettes to flavored cigars, traditional combustibles and other tobacco products (OTP) retained a solid presence with tobacco manufacturers at the annual convention and trade show. Altria Group Inc., Richmond, Va., introduced its new campaign, “Reducing Risk, Expanding Choice,” and featured several products that deliver nicotine without the combustible element of traditional cigarettes. 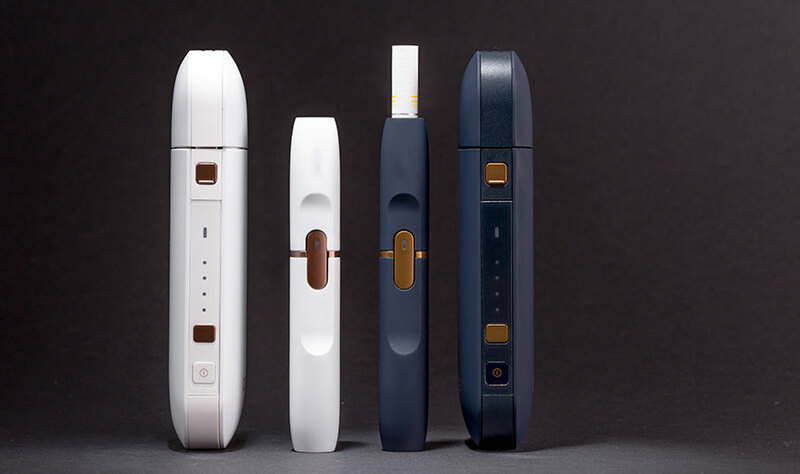 Among these products were its heat-not-burn device, iQOS; a closed-system vaping unit called MarkTen Elite; and an oral nicotine product called Verve. 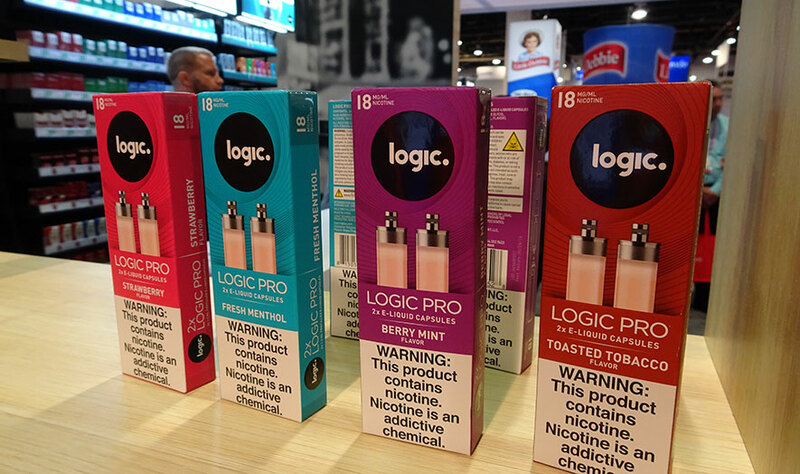 Reynolds American Inc., Winston-Salem, N.C., touted several of its brands, including Camel, Newport and its Vuse e-cigarette line of devices at its NACS Show booth. 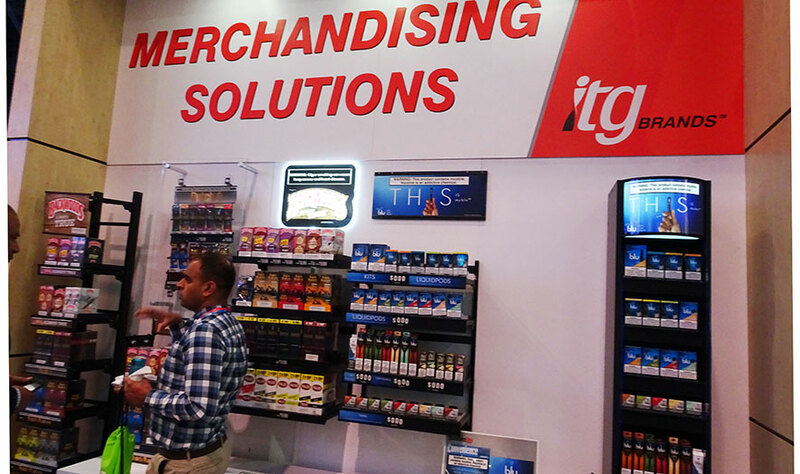 ITG Brands, Greensboro, N.C., placed multiple display racks prominently in its booth, providing retailers options for new and innovative products. 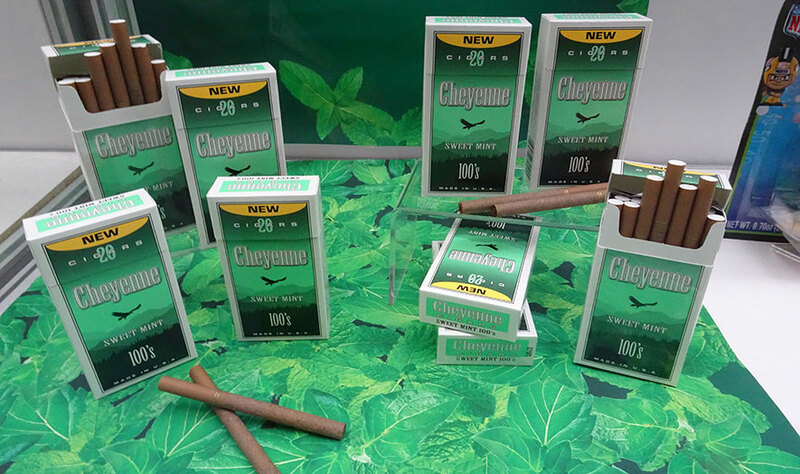 Cheyenne International, Grover, N.C., displayed Sweet Mint cigars in its booth and in the NACS Cool New Products exhibit. 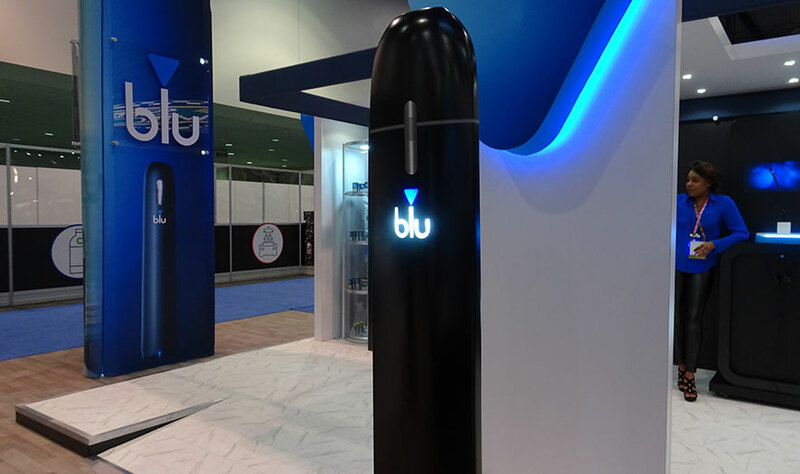 Fontem Ventures, Charlotte, N.C., announced it would be launching tobacco and mint flavors for its closed system, pod-based myblu-branded vaping devices in 2019. JTI International, Teaneck, N.J., featured two of its products: its fourth-tier cigarette, LD, and its Logic vaping device. The company said demand for value products has pushed growth for LD cigarettes, while at the same time, consumer interest in closed-system, pod-based e-cigarettes has buoyed its Logic e-cigarette, with sales over the late summer, early fall surpassing the same time frame from a year before, officials said. 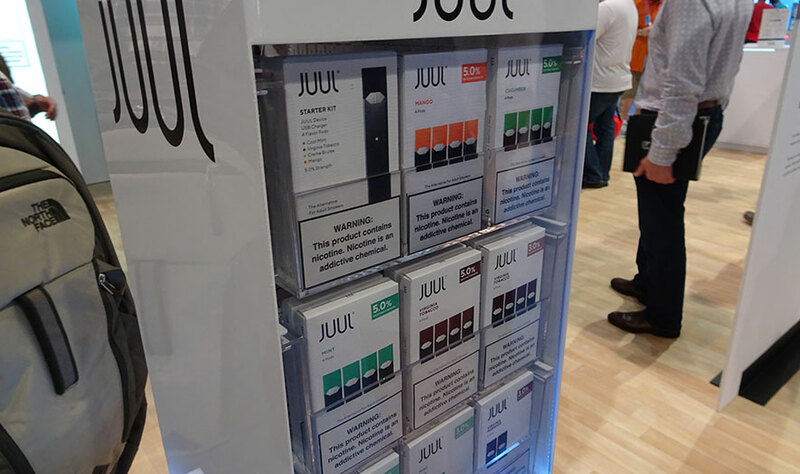 At its NACS Show booth, San Francisco-based Juul Labs featured its mango, cucumber, mint and tobacco flavored cartridges. It also demonstrated its commitment to “keep Juul out of the hands of youth” with a poster signed by employees. 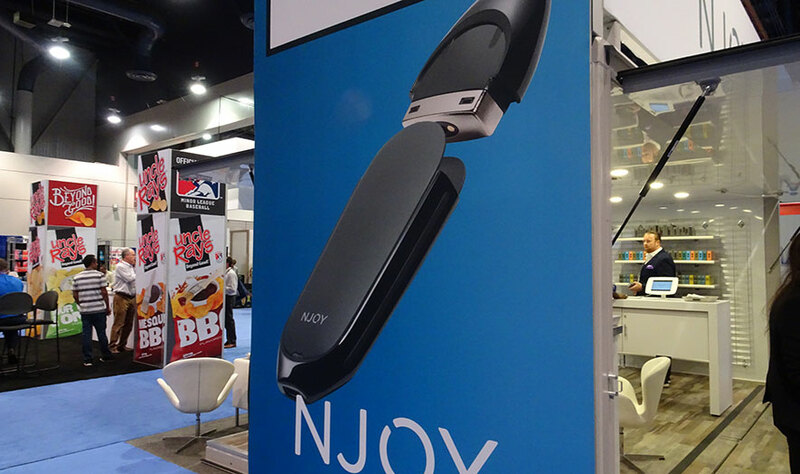 NJOY, Scottsdale, Ariz., displayed a closed-system, pod-based vaping device called Ace, which features an embedded magnet that secures the cartridge to the holder. 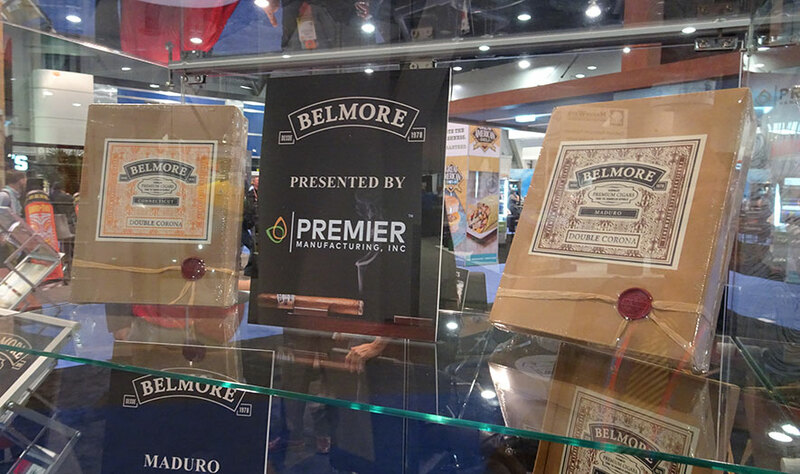 Premier Manufacturing Inc., Chesterfield, Mo., featured a new-to-the-U.S. line of Belmore premium, hand-rolled cigars, among other products. 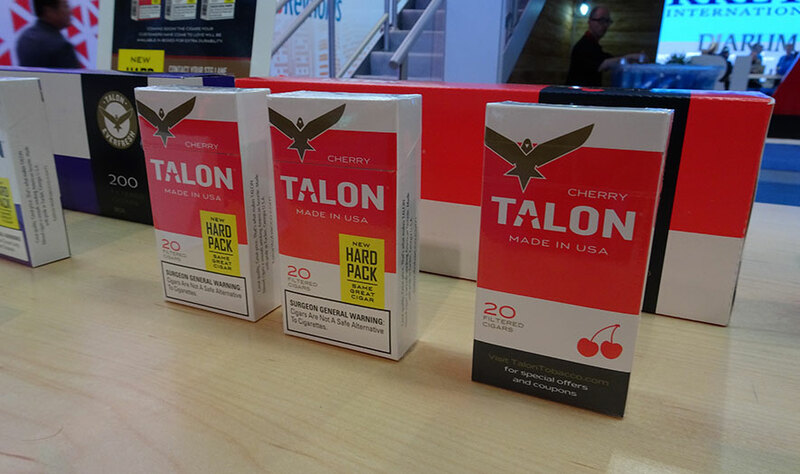 Scandinavian Tobacco, Tucker, Ga., announced new “hard pack” packaging for its Talon-branded filtered cigars. The new packaging makes the product “more durable” and “more premium,” the company said. Swedish Match North America, Richmond, Va., featured its White Owl and Game lines of cigars. 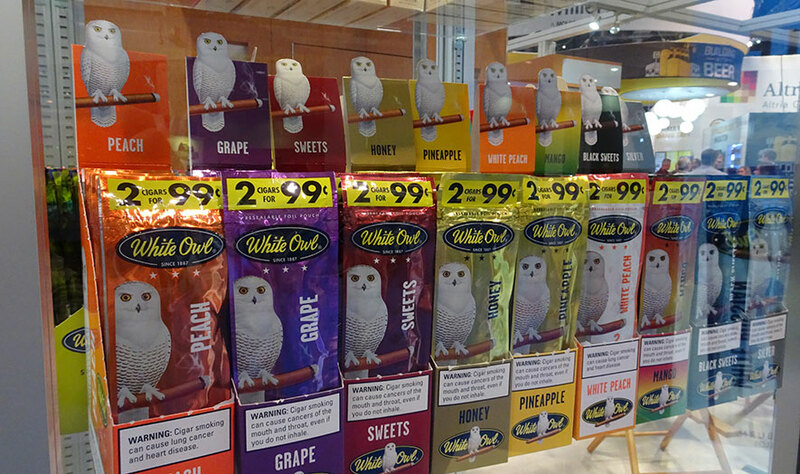 Its White Owl Summer Sampler product won CSP’s Retailer Choice Best New Product award for 2018 in the Tobacco/OTP category. 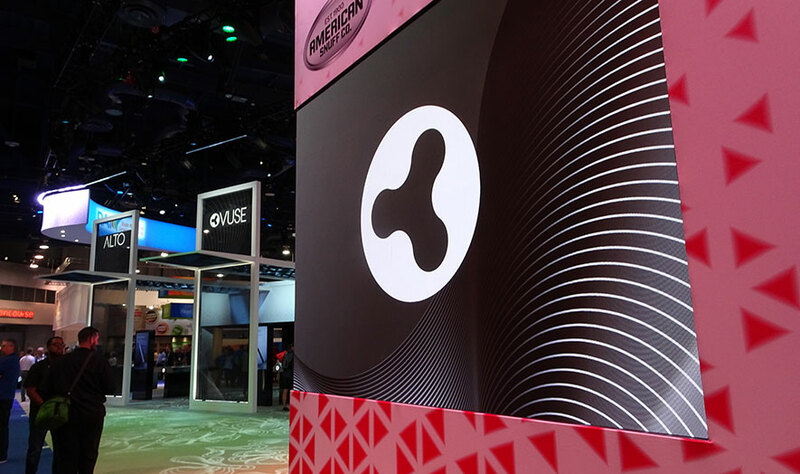 In addition to its own lines of cigars and cigarillos, Jacksonville, Fla.-based Swisher International hosted companies representing several other alternative, nicotine-delivery product lines in its booth. 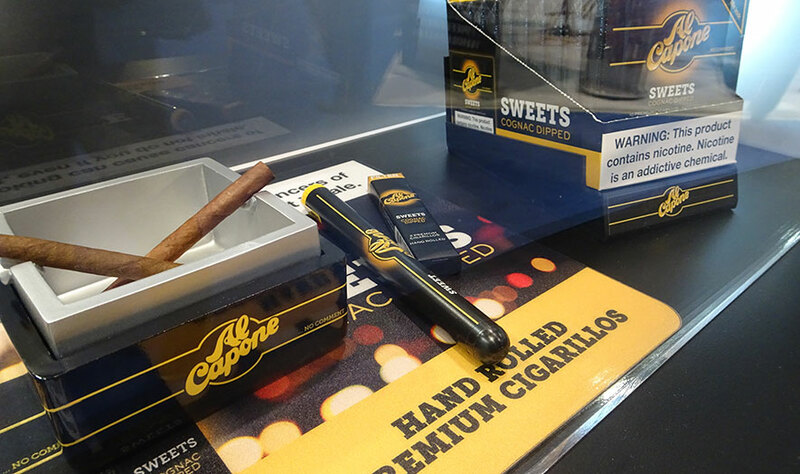 Featured at the booth from Miramar, Fla.-based Al Capone were cigarillos in Sweets, Slims and Jamaican Blaze versions. Shelton, Conn.-based Bic Corp. featured multiple lines, including a holiday series. 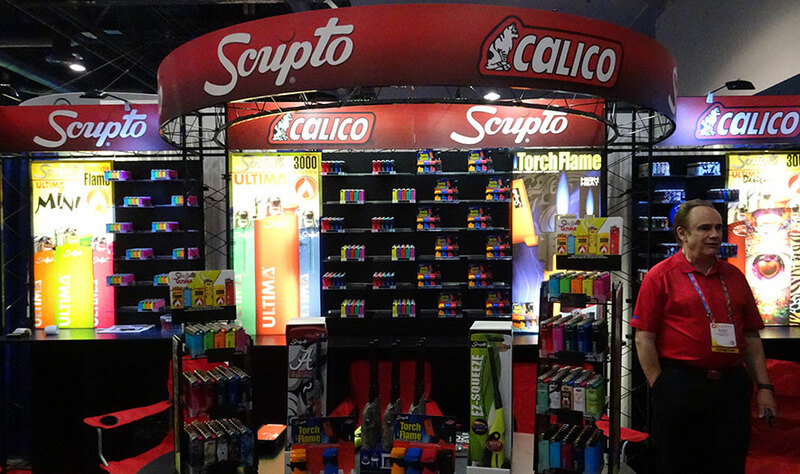 Ontario, Calif.-based Calico Brands offered several different types of lighters, including the Scripto brand. 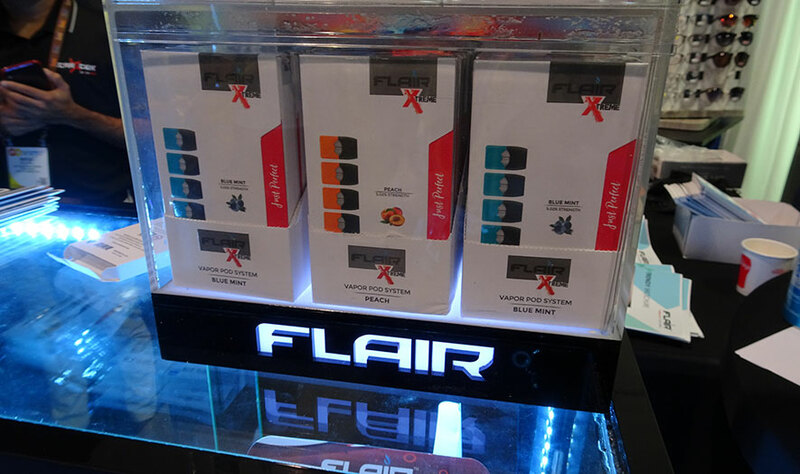 South Plainfield, N.J.-based Flair Vapor offered several models of vaping starter kits, cartridges and chargers. 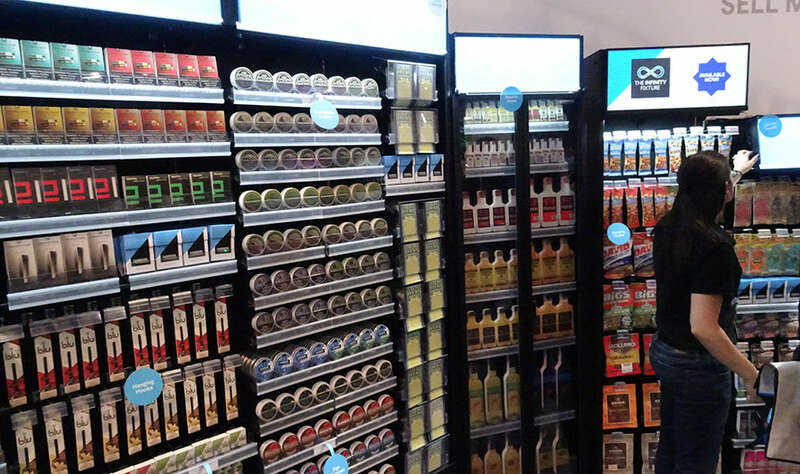 For retailers looking for new tobacco-display ideas, Harbor Industries, Grand Haven, Mich., offered tobacco racks as well as overhead and below-the-counter merchandisers and accessories. 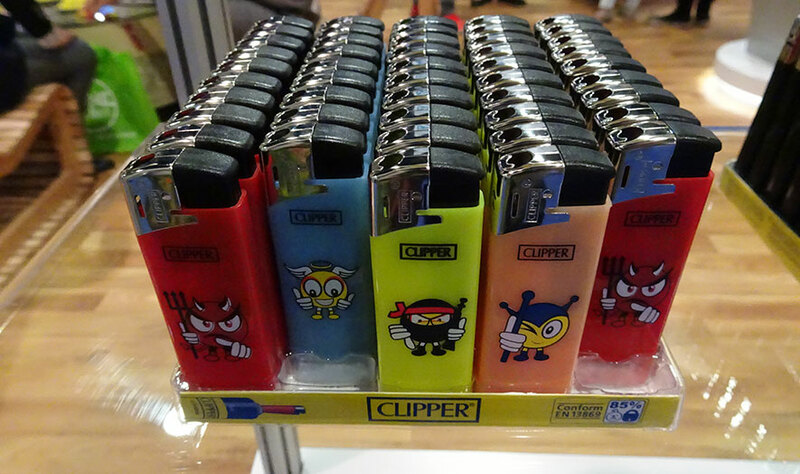 Phoenix-based HBI featured its line of Clipper lighters that are reusable by way of a replaceable, lighter-fluid tank. A refillable tank costs 90% less than buying a disposable lighter, the company said. 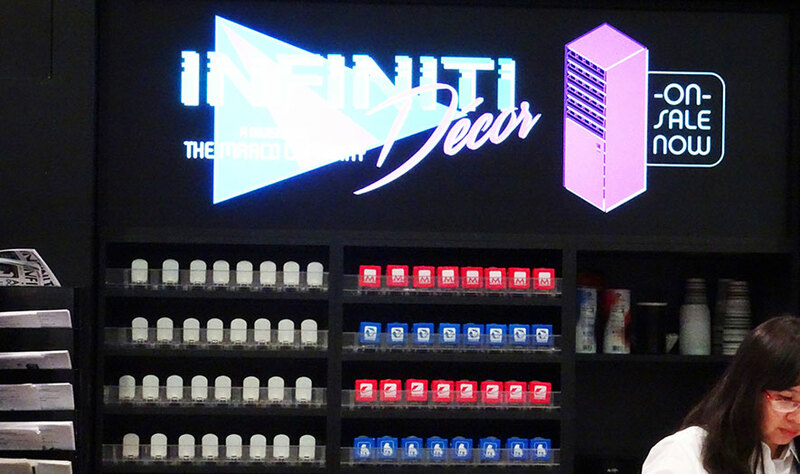 At the booth from Infiniti Decor, tobacco racks were a dominant feature, even as the Godley, Texas-based company said it handles a wide array of store-planning needs—everything from custom counters to beer caves. 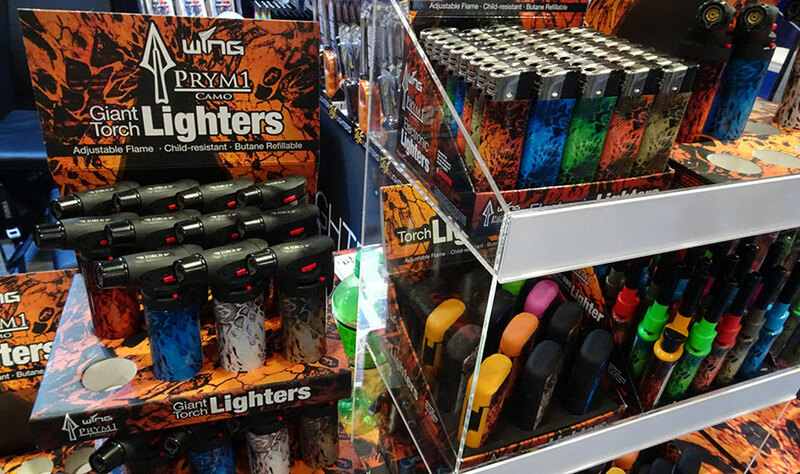 Franklin Park, Ill.-based Jay’s Import & Export offered a wide range of lighters and tobacco accessories. 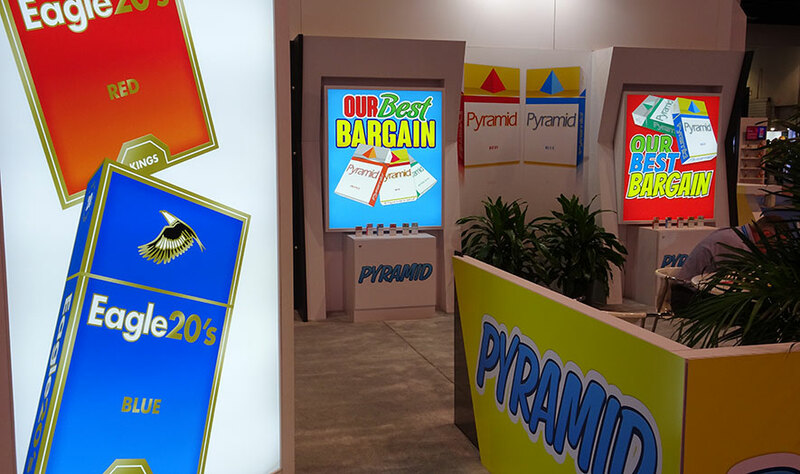 Liggett Vector Brands, Morrisville, N.C., offers one of the top-selling national discount brands, Pyramid, the company said. 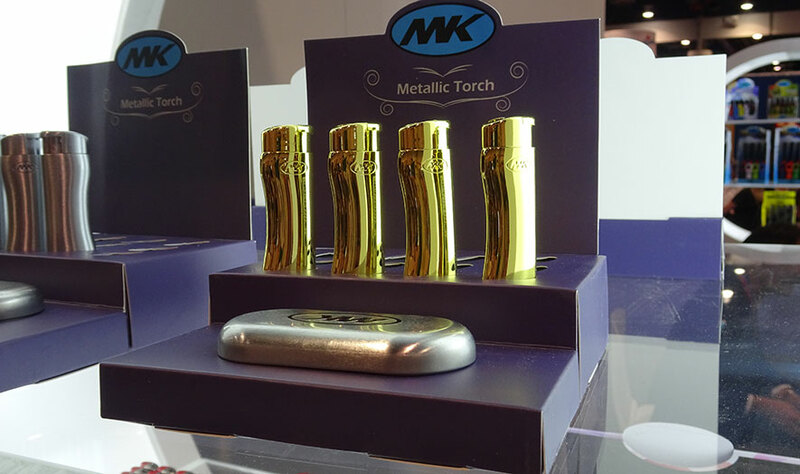 Lighters from Militti Sales & Promotions, Omaha, Neb., range from the “giant torch,” resembling a blow torch, to miniature, long-tipped fire starters. 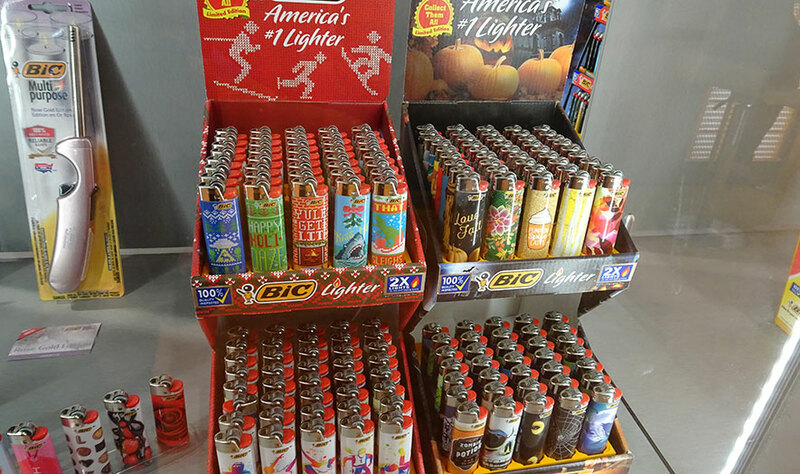 MK Lighter, City of Industry, Calif., featured a wide array of lighters. Louisville, Ky.-based National Tobacco Co. offered a range of traditional and other tobacco products, including cigarettes, smoking tobacco, cigarette-rolling papers and make-your-own tobacco products. 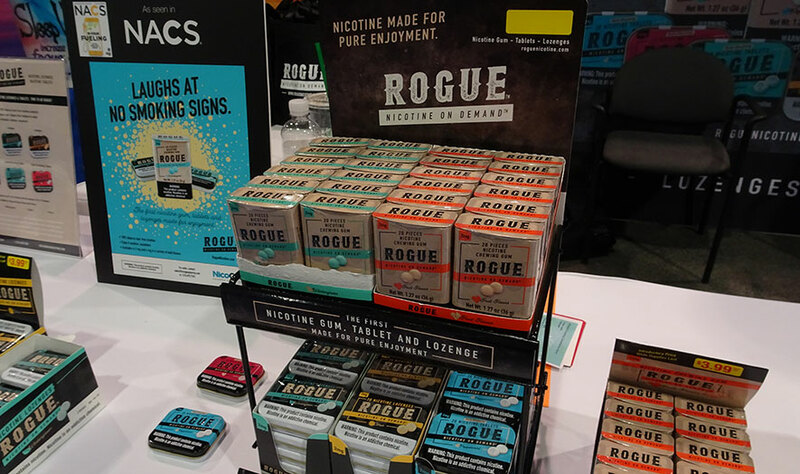 Miami-based NicoGen Pharma Solutions has developed Rogue, a 100% tobacco-leaf-free nicotine product for occasions when users can’t smoke, vape or chew. The product comes in tablets, gums, lozenges or pouches in a variety of flavors and strengths, the company said. 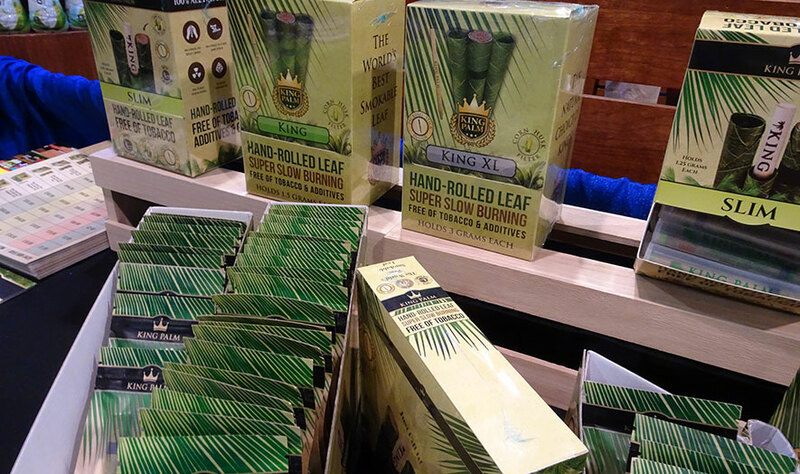 King Palm-branded all-natural-leaf, fill-your-own products from Oak Park, Mich.-based Ooze Wholesale come in 24-pouch slim-rolls displays or 50-count king displays. 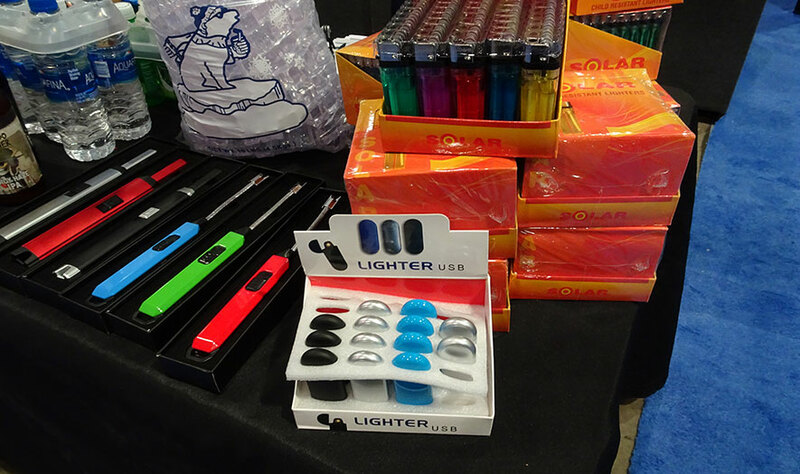 The company also offered a wide range of vaping and smoking devices and accessories. 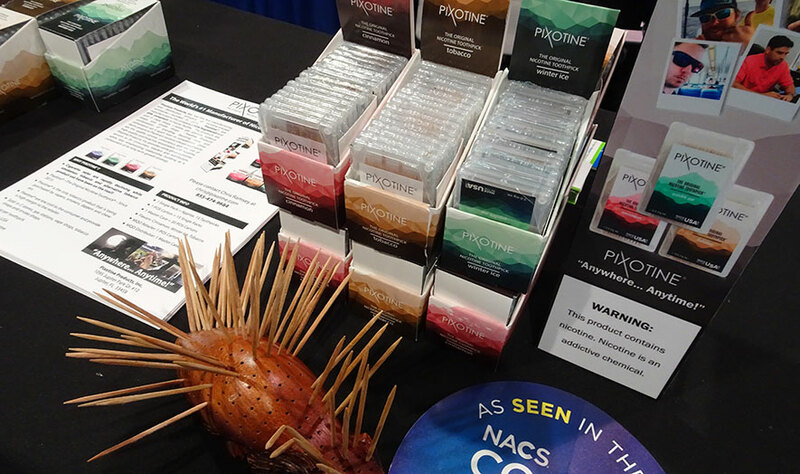 Nicotine toothpicks from Jupiter, Fla.-based Pixotine Products Inc., come in cartons of 15 single packs, with a pack having about 15 toothpicks. 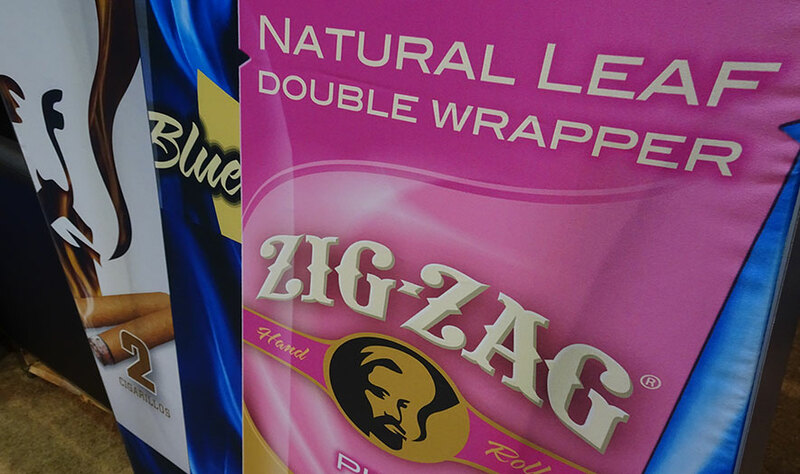 Royal Blunts, Tustin, Calif., featured an array of herbal wraps in flavors such as Mango and Russian Cream. 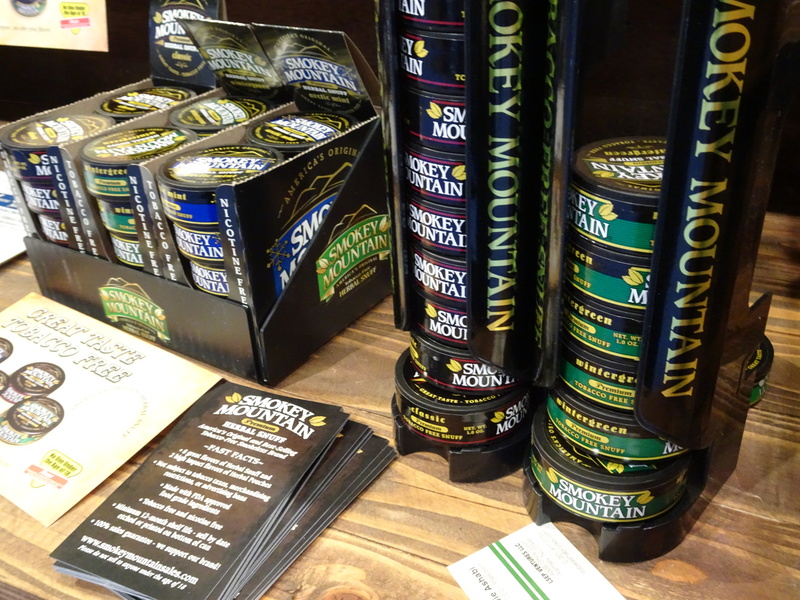 Waco, Texas-based Smokey Mountain Snuff offered an herbal-snuff, smokeless product, as well as the Airio cigarette filter, which the company said is the smallest on the market. 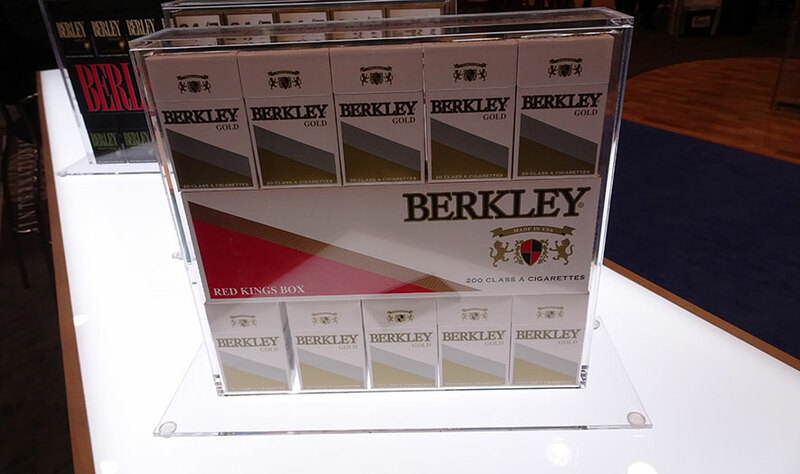 Fourth-tier tobacco manufacturer Xcaliber International, Pryor, Okla., offered 15 distinct brands, including Berkley.